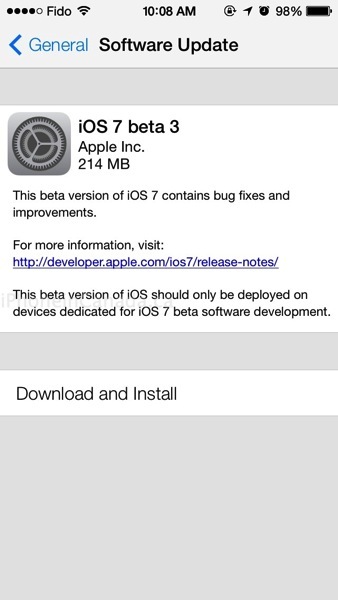 Apple has released iOS 7 beta 3 to developers for download as an over-the-air update, exactly two weeks after beta 2 was released. The iPhone 5 update as seen below comes in at 214MB and notes it contains bug fixes and improvements. 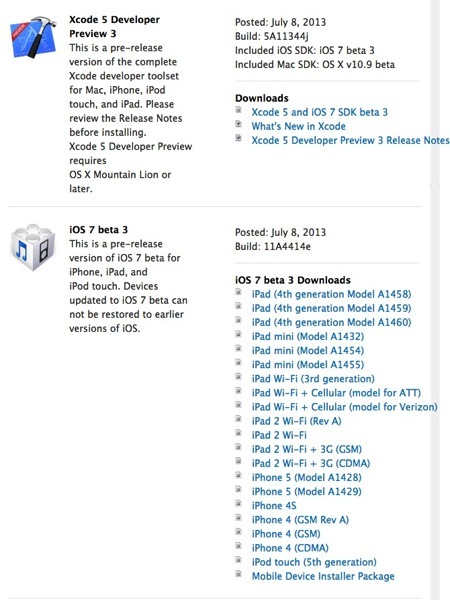 Looks like BGR’s sources were correct in predicting today’s iOS 7 beta 3 release.